Thirty three inches. That’s the new record for snowfall that buried Medford when Nemo, as the February nor’easter was known, blanketed the Island. Hundreds of vehicles—some with their drivers inside overnight—were left stranded on local roadways, including the Long Island Expressway, which was closed for three days while upstate plows were called in. Business owners took to shoveling their roofs, as the weight of the snow caused some to cave in. Brookhaven Town Supervisor Ed Romaine, who drew ire for being away on vacation at the time, was still defending his snow response during his re-election campaign in the fall. Sure was pretty, though. The Lion of The Legislature, as the longest-serving presiding officer of the Suffolk County body was known, leaves behind a big paw print. Legis. William Lindsay (D-Holbrook), who lost his battle with lung cancer in September, had led a legislative investigation into the county ethics board—a move that culminated in ex-County Executive Steve Levy forgoing a third term to settle a criminal probe of his fundraising. Lawmakers soon after renamed the county’s North Complex in Hauppauge after Bill, their stabilizing force. And now, his son, Legis. William Lindsay III (D-Bohemia) represents the same district. A judge found former Hempstead Town Clerk Mark Bonilla guilty in July at Nassau County court of official misconduct for trying to cover up alleged sexual harassment of a female subordinate who is suing him. Although he was acquitted of petit larceny, coercion and another misconduct charge, his conviction on the lone misdemeanor count forced New York State to remove him from office. That came after the Bellmore resident had refused calls from fellow elected officials to step down following his arrest. In a stroke of poetic justice, the Republican was sentenced to help members of the Hispanic community apply for health insurance through the Affordable Care Act, Democratic President Obama’s proudest achievement. voters rejected a $400 million 2011 referendum to rebuild the Uniondale arena, which prompted Wang to move its anchor tenant to the new Barclays Center in Brooklyn. Things were looking pretty bleak. 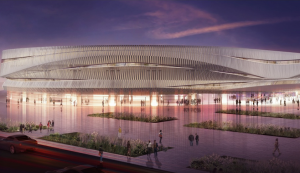 But, this summer the county bizarrely tapped Forrest City Ratner, which developed the Isles’ new home, to renovate the coliseum in a $250 million privately financed deal that promises to finally breathe new life into The Old Barn once work starts in 2015. We’ll believe it when we eat a pretzel in it. LI’s most anticipated electoral race of the year would have been more exciting had it ended in a nail-biter, rather than Republican Nassau County Executive Ed Mangano drubbing his Democratic rematch rival, his predecessor he’d unseated, Tom Suozzi. It proved a strange campaign. Suozzi called out Mangano for once trying to bring a casino to the coliseum, then the two joined forces to endorse a since-approved state referendum to legalize casino gambling. Mangano danced around the fact that he kept the raise he had criticized Suozzi for giving the county executive. Suozzi’s wealthy Democratic primary challenger Adam Haber aptly called out both for being cogs in the local political machine while his credentials of self-made outsider fell flat. In the end, Nassau retained its historical status as a GOP-run county despite the party’s enrollment deficit. 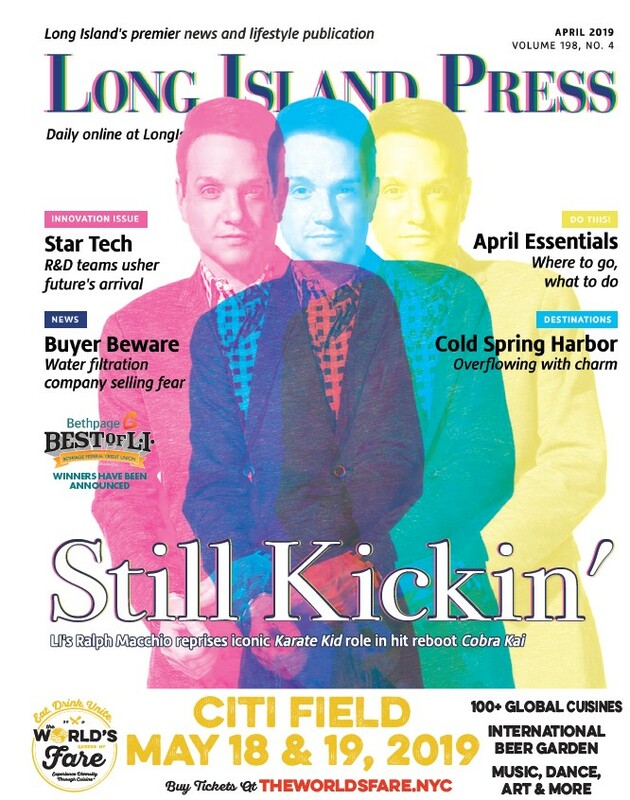 Most days, LI’s lone daily newspaper is subtle about synergizing with its monopolistic corporate overlords, Cablevision Systems Corp. But this year Newsday crossed more lines than usual. Disregarding their journalism 101 training, the editors in Melville omitted the fact that the Dolan family who owns their parent company was bidding to redevelop the coliseum in a story about the other bidder’s political donations. Then, while endorsing Suozzi, Newsday failed to disclose that he was a paid Cablevision consultant after he was ousted in 2009. Those two ethical lapses were not surprising to anyone familiar with the paper’s decline, but they boiled over when Mangano refused to debate Suozzi on News12 Long Island, also owned by Cablevision, unless News12 disclosed Tom’s ties to the TV station’s bosses. News12 declined, and it became the first Nassau exec debate in recent memory they didn’t air—and CBS did instead. Slurpees fans were horrified to learn that some 7-Eleven franchise owners were allegedly smuggling illegal immigrants from Pakistan using stolen identities, having them work in the convenience stores and forcing them to turn over their pay. Federal investigators said the suspects victimized 50 workers after agents raided about 30 stores nationwide, rounding up nine owners, managers and workers on LI. Authorities called it one of the largest in federal law enforcement history to uncover a “modern day plantation.” The victims, who had been effectively enslaved in a scam dating back more than a decade, had been too afraid to report their treatment. The John J. Foley Skilled Nursing Facility in Yaphank. York City was dashed in the spring when Suffolk County Executive Steve Bellone couldn’t overcome union opposition. But as a result the county is paying to heat the empty 264-bed recently renovated facility so the pipes don’t freeze. All the 180 workers lost their employment at Foley, but some found work elsewhere. The patients were moved to other facilities in the region and some have since died. Starting on New Year’s Day, a private utility takes over the electrical system, transforming the Long Island Power Authority, which was blasted for its Sandy response. New Jersey-based Public Service Enterprise Group, Inc. will have a 10-year contract to provide electricity no matter the weather. PSEG replaces National Grid, which will still supply natural gas to its current customers—at least for a little while longer. 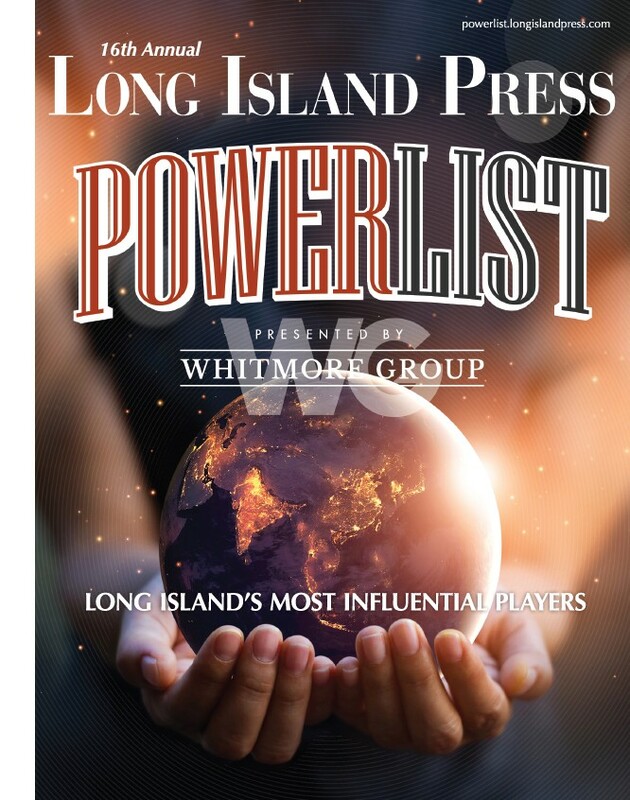 LIPA once had more than 100 people on staff running a $3.6 billion business serving more than 1.1 million customers in Nassau, Suffolk and parts of Queens, but it will be drastically reduced under the new arrangement. Rest assured, the rates won’t drop. Four years after the U.S. Department of Justice launched an investigation into allegations that Suffolk County police officers discriminated against members of the Hispanic community who reported bias and other crimes, the probe came to an uneventful end. The feds settled their review in an agreement that didn’t detail any specific allegations and required the department to improve minority relations with initiatives that have mostly been already implemented. Critics questioned what the point of it all was while county leaders cheered turning the page from a dark chapter. The probe was launched after a group of teens killed Ecuadorean immigrant Marcelo Lucero in Patchogue. This was a case unique from beginning to end. The Press exposed how donors to a police nonprofit were rewarded with favors, including one donor getting burglary charges against his son quietly swept under the rug. Nassau County District Attorney Kathleen Rice read the story, ordered an investigation that lead to indictment and conviction of the burglar. His father’s friend ex-Deputy Chief of Patrol John Hunter pleaded guilty to misconduct. Former Second Deputy Nassau Police Commissioner William Flanagan was found guilty by a jury of misconduct and a third police supervisor, retired Det. Sgt. Alan Sharpe, pleaded not guilty while his case is pending amid Flanagan’s appeal. And to think it wouldn’t even turn out to be the biggest scandal the department saw this year. One of the silver linings to Sandy came in the form of funding for an LI public works project that will help mitigate future storms across an 83-mile stretch of the South Shore coast. The Fire Island Inlet to Montauk Point Project, a half-century-old plan that officials have wondered aloud how they would ever get Congress to back financially, had $700 million earmarked through the Sandy aid package. Although getting such complex construction underway takes time, the first phases will be seen this spring when dunes are rebuilt at parks on the eastern and western tips of FI, with the residential middle of the barrier beach waiting until fall. Beachfront restoration work is also coming to the Hamptons and The End while the bulk of the money will be dedicated to raising homes and infrastructure on bay-front mainland LI. This is what fans of political corruption call vintage Nassau County. The wealthy political donor who owns a castle in Huntington called Nassau Police Commissioner Thomas Dale, who in turn orders the arrest of a key witness in a lawsuit that effectively aims to help his boss, Mangano, win re-election. Then, after Mangano wins, Rice announces that she investigated the incident, but cleared Mangano and Dale of criminality. Mangano fires Dale. Democrats call for federal and state investigations. Rice says one ex-cop who played a key role in the shady move is still under scrutiny. And voters, waiting for heads to roll, are left with a shiny local reminder of how the ruling class will do anything to keep their grip on power.